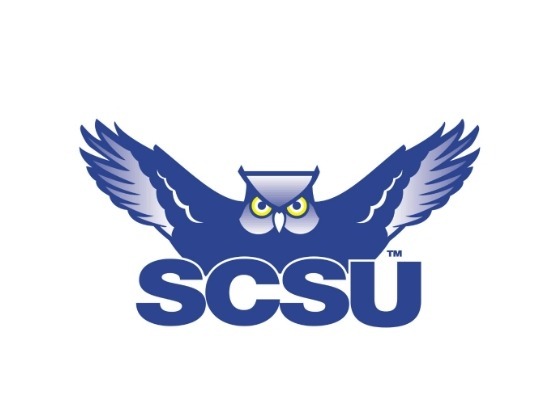 On October 30, 2015, Freshman Meg Falcone, and Sophomore Emma Riccio went to the Southern Connecticut State University (SCSU) 32nd annual High School Journalism Day. Journalism Day is a day in which faculty and journalists throughout the state conduct workshops geared towards writing, editing, graphics, interviewing and career planning tips for aspiring journalists. Upon arriving at Southern, students were given handouts with the workshops offered for the remainder of the morning. Students from various high schools gathered in a large room, and Professor Cindy Simoneau introduced students to Southern and explained how the day’s experience would play out. Professor Jerry Dunklee spoke comically about the many disadvantages of censorship. 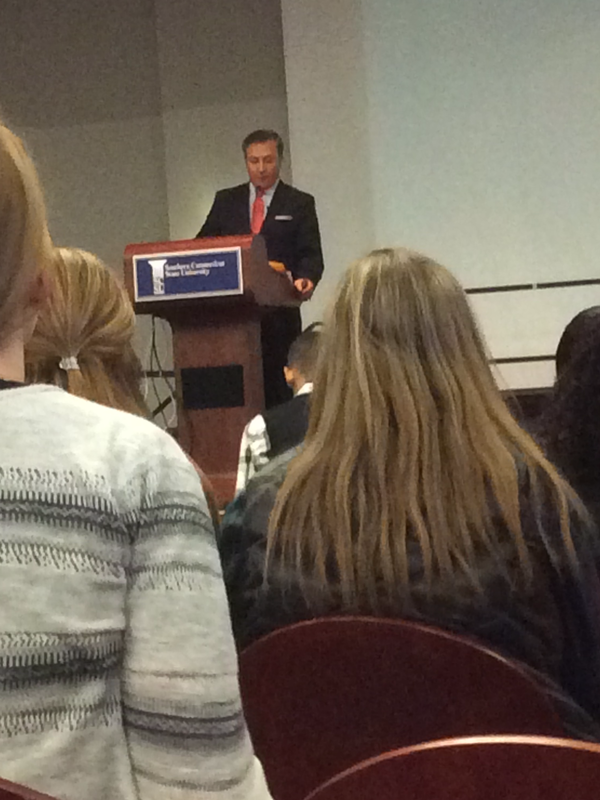 Towards the end of Journalism Day, WFSB news anchor Dennis House delivered the keynote about the many advantages and opportunities that come with being a part of the journalism community. The workshops were split into two block periods. Meg and Emma attended Writing for Social Media and You’re on the Air. In the Tools for the Trade workshop, Mrs. Chausse learned that photojournalism creates reality for the readers. 40% of photos for journalism are taken with an iPhone, and they are good quality. Photos are best taken as naturally as possible to capture action in the moment. The Writing for Social Media workshop was about learning to inform the world about news in a short, captivating sentence. Using social media is an incredibly useful tool for collecting information, pictures, and news data. People are 35% more likely to read the article if they see it on social media first. Some tips to tweeting out news is to use hashtags to get more views and to keep the tweet short and to the point. Feel the Rhythm, Tell the Story was another workshop offered. The focus was on the quality of writing needed to create a successful newspaper. Some of the most important details in writing a newspaper are the interviews and the background research pertaining to the specific topic. Also, a successful paper has no grammatical errors or confusing sentences. The workshop facilitator advised reading articles out loud to ensure there are no mistakes. It is better to be straightforward, to declare, and to use precise words to attract the reader’s attention. In the last workshop , You’re on the Air, the focus was on news casting and radio broadcasting. News and radio broadcasters write their own material. Sound bytes in radio or visual broadcasting are used to push the story along and capture the audience’s attention. To begin in radio, a broadcaster must find his audience-such as a group of specific viewers, even it is through a podcast on YouTube. This is called niche-journalism. Journalism Day was an educational experience. If you’re truly interested in becoming a journalist or a related field, Journalism Day can help you get started.